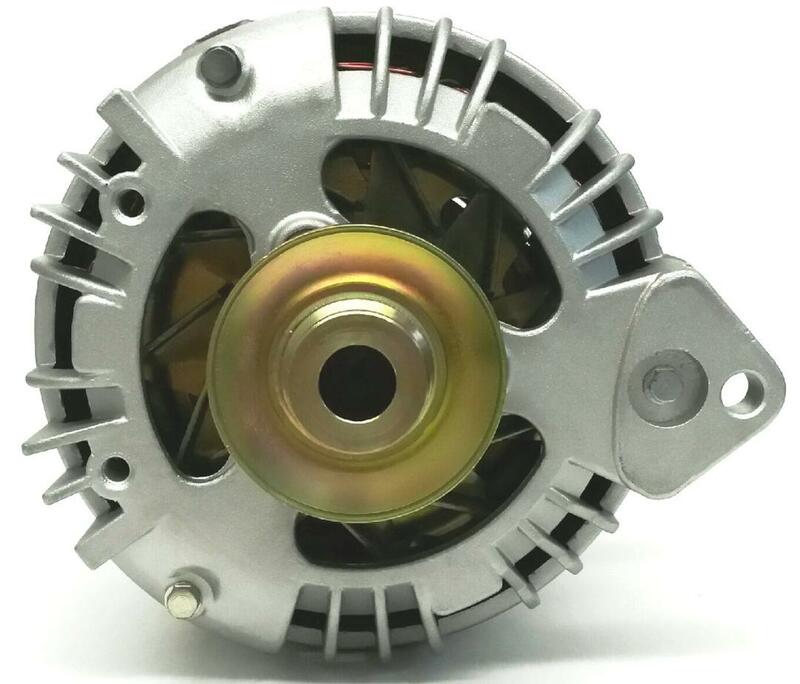 Natural Finish�Single V Groove Standard Style Chrysler Alternator. Advertized as a 50 Amp/75 Amp. 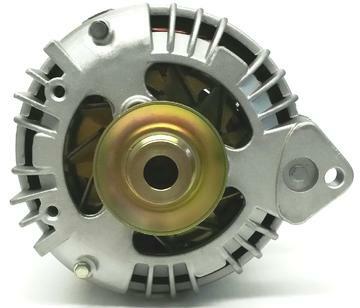 Natural Finish Single V Groove Standard Style Chrysler Alternator. Advertized as a 50 Amp/75 Amp. All High amperage alternators come with a Dyno Tag Attached to the rear. Most Show a capability of 64-68 amps @ idle RPM, 78 amps at cruise RPM, and 95 maximum output. Most Single V Groove Alternators are slated for usage without Factory A/C Belt Alignment. NOTE 1-Each standard style Alternator (Not 1 Wire Alternators) has 2 fields . To use in a 1969 and earlier vehicle, 1 field wire Terminal at alternator must be grounded, usually achieved with a female spade terminal, short piece of wire and an eyelet terminal to ground. 2-Due to the increased amperage capabilities of these High amp alternators, it is highly recommended to run an ADDITIONAL 8 gauge lead to the power lead from the alternator to the starter relay positive post or positive post on battery, along with a fused protection between that point. 3-It is also a good move to defeat the AMP gauge in the car by disconnecting both leads off of the back of the ammeter, use a heavy gauge machine screw, washers and a nut and tighten. Then insulate the wire to prevent shorting. Then mount an auxilary Volt gauge somewhere hidden to check charging system, periodically.